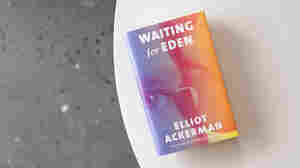 Waiting for Eden NPR coverage of Waiting for Eden by Elliot Ackerman. News, author interviews, critics' picks and more. A veteran enduring life trapped in his own mind begins to find a way to communicate before troubling realities about his marriage come to the surface. September 25, 2018  Author Elliot Ackerman is a veteran, and his latest novel is about an injured soldier just regaining consciousness. But it's really about something else. "This book really isn't about war," he says.